Make your holiday preparation go smoothly with Grove Photography’s passport photo service. Many passport application rejections occur because of a passport photo that doesn’t meet requirements, we take professional photos that won’t get rejected and cause you any extra hassle before you depart. Don’t be caught out using cheap photo booths and non-specialist services that run the risk of a photo rejection. At Grove Photography we have vast experience of passport photography and we are very familiar with the criteria to get your application accepted first time. Our studio is in Hazel Grove, Stockport situated close to the A6 and within walking distance of Hazel Grove station. UK passport sized photos are produced in a photoset of 8 pictures, which is also handy for other applications such as drivers license renewals or various forms of ID that require photographs. For a limited time receive a gift voucher for a portrait sitting with any passport photography session. Contact us today to book a session. 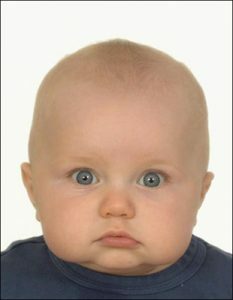 With baby and children’s passport photos the likelihood of rejection becomes even greater. We also specialise in baby and children’s photos and have a number of methods to ensure a valid photograph is taken. 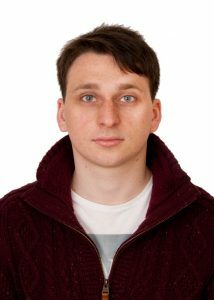 We also produce pictures that meet the requirements for non UK passports and immigration passport photos, including: US passports, Canadian passport photos, Canadian citizens right to abode, Indian passport photos, Russian passport photos, Netherlands, and European passports. We also do photos for US visas which have very specific requirements for the application, particularly useful for cabin crew. In 2006 new biometric passports were introduced to combat fraud and forgery. 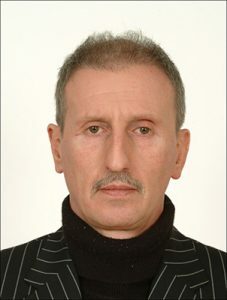 Since then there has been a large increase in passport applications being rejected because of the photograph. This is because the new passports store data on a chip inside the passport that contains the digitally coded measurements of the holders’ features, such as the distances between eyes, nose, mouth and ears. As the measurements are taken from the applicant’s passport photo there are much stricter requirements for passport photos. Don’t be caught out using cheap photo booths that run the risk of a photo rejection, contact us today to ensure your photo gets accepted first time. You can book a convenient slot by calling 0161 456 1766 or use the contact us page form to make an enquiry.